The first book written about Hitchin's football history for over 20 years. 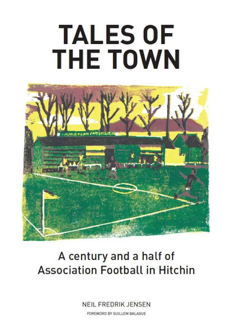 The definitive book on Hitchin Town FC, a comprehensive chronicle covering the formation of the first Hitchin football club in 1865 up to the present day. Containing many photographs never previously made public. 180 Pages - price £14.95 plus P & P.